A sure sign of spring, these little blue flowers pushing through oak leaf litter by the side of a road on the island of Orust. 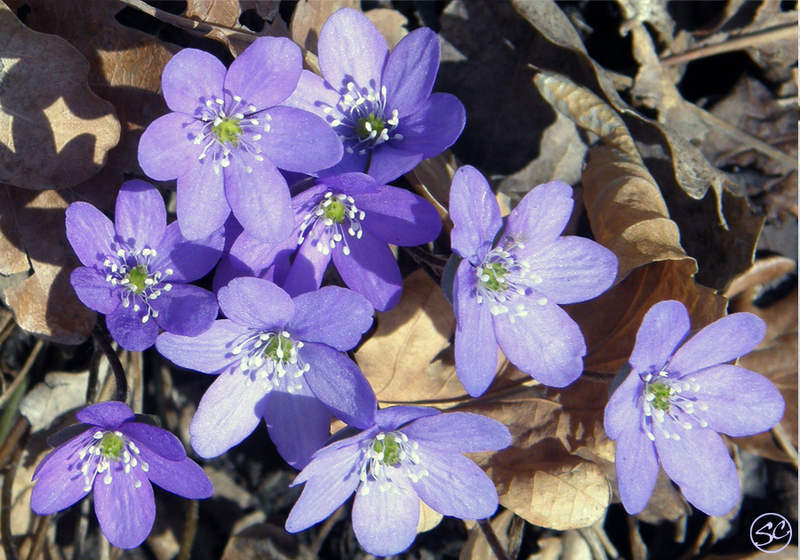 Anemone hepatica or Blåsippa in Swedish is the English Liverwort. It is a protected species in this part of Sweden, though it is common elsewhere in the country. Its colours vary depending on the acidity of the soil where it grows.